Anyone who works in the education field will tell you that there are often a lot of things that get postponed until semester breaks. My giant closet in our guest bedroom has been driving me crazy. It stores all of my professional dress clothes, shoes and accessories, many eBay business inventory items and all of my eBay packing material. I didn’t have a plan to clean out that entire closet and room but once I started I was on a roll. I got rid of a bunch of outdated inventory and other stuff that is just taking up space. The picture above is off a pile of stuff I’m getting rid of. I figured out how to get paid for my decluttering! 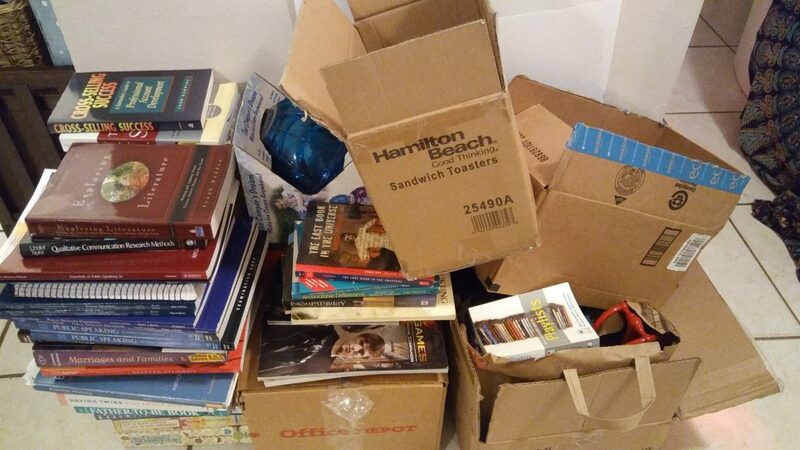 I also went through a bunch of textbooks that had been given to me by a colleague, my sister and from a pile of books our former neighbors dumped by the curb outside our townhome. I used bookscouter .com the website to see where they would sell for the most money and chose two sites to ship to that took the most books for the most money (and they pay for the shipping). And I had $87 worth of textbooks and classic paperback books to sell! I also got more organized with the eBay items sitting around and waiting to be listed. I’m not earning any money by letting them take up space. I can’t wait to get even more crap out of my house. This was definitely motivating. 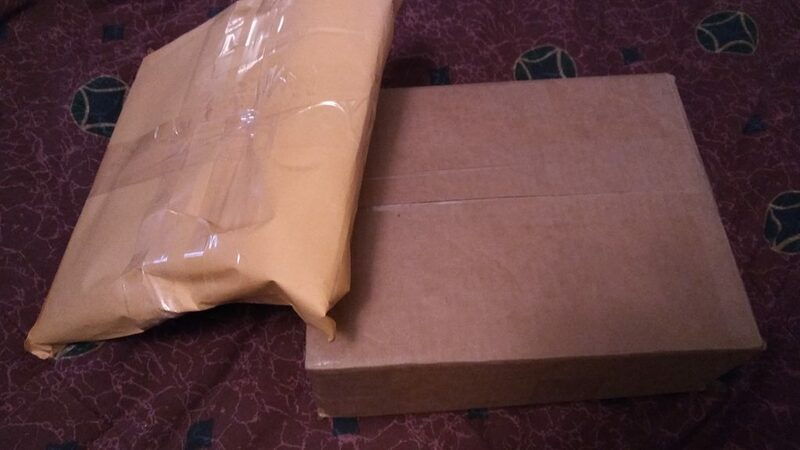 Below are the two packages of books I mailed out to sell. Hopefully more packages to come!